Ondo dancing at the Long Beach Japanese Community Center. 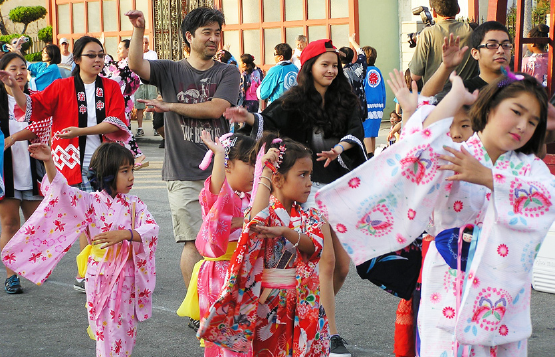 LONG BEACH —The annual Japanese Festival will take place on Saturday, June 24, from 3 to 9 p.m. and Sunday, June 25, from 3 to 8 p.m. at the Long Beach Japanese Cultural Center, 1766 Seabright Ave. in Long Beach. The event will include Japanese foods, games, taiko and more. Everyone is invited to participate in the ondo, even if they have missed the weekly dance practices. For more than 65 years, the LBJCC has served as the primary facility in the Long Beach Harbor area in furthering an understanding and appreciation of the Japanese culture and the Japanese American experience through its offerings of cultural and visual arts instruction, as well as Japanese language classes, events and activities for the benefit of citizens of all ages, ethnicities and religious affliations. For more information, call (562) 754-8226, email [email protected] or visit www.lbjcc.org.